(TJB) (Sofia) 2018 - Current. Photos. Framable Color Prints and Posters. Digital Sharp Images. Aviation Gifts. Slide Shows. 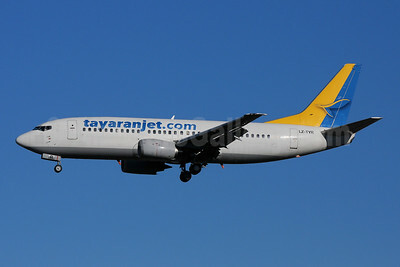 Tayaran Jet (tayaranjet.com) Boeing 737-330 LZ-TYR (msn 25414) BLQ (Marco Finelli). Image: 944739.